Is it possible to assign MP3s to message tones? ei im just wondering, how many txt messages can it store? Soory I use K508i, i've bought this phone today. for the price, i think it is really worth it. compared to others with the same features, it is cheaper. Right ,.... the shutter was annoying but overall i think this is a really great phone. Hope,... the best i've ever had. Hi all. 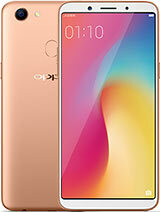 I want to buy this phone and I want to know how is working ? it's a good phone or verry good phone ??? Can somebody to help me ? This phone menu is easy to use, the features are great (camera pic looks sharp, the recorded sounds can be use as ringtones, pretty good sound, speakerphone that can record the talk, and other nice features). Yes, the camera shutter sound is a little bit annoying. But overall, this phone is worthy to buy. hahaha pauline_anne, you are funny.. yup its a good phone. (1) Goto "Entertainment" - "Record Sound" (then record whatever sound u want. Ensure that the source of the sound is near to the phone). (2) "Save" - "More" - "Rename" [rename the file if u want] - "OK"
(3) "More" - "Recorded Sounds" [there is list of recorded filenames. Go to the one that u renamed before. (4) "More" - "Manage Files" - "Move to folder" - "Sounds" - Exit to the main by pressing "Enter" button 2 seconds. (5) Go to "Settings" - "Sounds & Alerts" - "Ringtone" - then select the file u have transfered previously. my sister has the this phone and is able to put recordings she makes as her ringtone, and i also have this phone but am not able to put recordings as my ringtone ..why is this and how can i change it ? ?..can anyone help?? Hi...My current mobilephone is K508i, so far so good mobilephone. The VGA camera is nice (if you shot closer). Though i experienced colors adjustment in this phone. The price of this phone is $200 --Unlocked. I will bring this back home in US. Nice and handy phone. If comes to IRA-- compatible phone is siemens phone. I am using this phone since 1 month. Technically its a nice phone. I didn't find a major problem using this sate. I wanna know any method to increase its Memory. I just bought a k500i last week and is the best phone you can find at a price this low... relly awsome! anyone there knows whats the main difference between k500 and f500? is anyone know about the software of mp3 cutter.i want to cut a part of some songs & save them to my k500i.as complete video song have large memo.